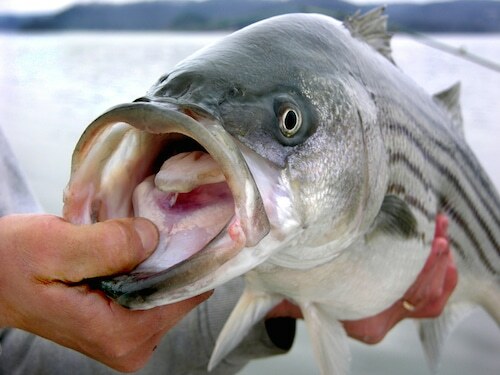 Wild striped bass is a well managed fishery; coastal states work within strict quota limits. Wild striped bass have firm meat that cooks up velvety and flaky, and their skin crisps up deliciously when cooked. This fish is not only incredibly delicious, its also very versatile and takes well to almost every cooking application. Alternatives include baquetta bass, farm striped bass, or grouper. Sear it, saute it, grill it, roast it – this fish will shine no matter what you do to it (just don’t overcook it)! Pair it with lightly cooked spring vegetables, grill it with fresh herbs, steam it with asian spices, stuff it with fresh crab meat, just get it on your menu! Make sure you display a few Wild Striped Bass fillets striped sides up – that will definitely draw your customer’s eyes to this beautiful fish!